Rivers State Governor, Nyesom Wike, has stated that the “illegal conspiracy” between the Independent National Electoral Commission (INEC), the All Progressives Congress (APC) and Police was a threat to the nation’s democracy. 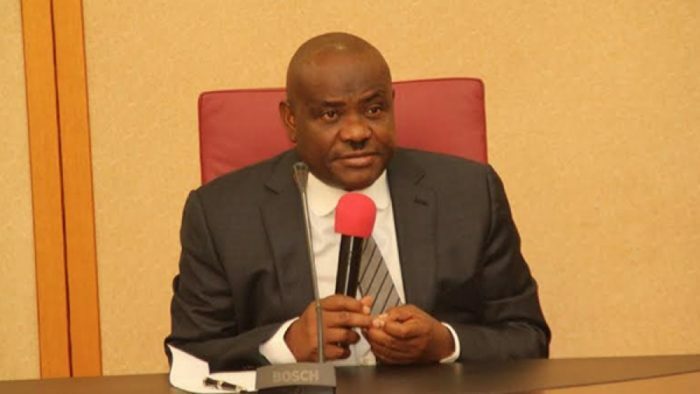 Speaking yesterday when he granted audience to the Inter-Party Advisory Council (IPAC) at the Government House, Port Harcourt, Wike stated that following the use of the Police to deny the people of Rivers East Senatorial District their mandate, the APC had made it their official policy. According to him: “The strategy has been adopted by the APC as was experienced in Rivers State during the rerun elections. We have to alert all other Nigerians about this strategy. “The alarm we have raised on the printing of fake result sheets was correct. They used Special Anti-robbery Squad to abduct INEC officials and smuggle in fake results “. He called on all the political parties to be vigilant and stop the actualisation of the plot of APC to rig the 2019 polls. “They know Nigerians are tired of being deceived. That is why they will plan to massively rig the 2019 elections. As IPAC members, you must be vigilant. They will do everything possible, including killing dozens of persons to remain in power. This is because the people have rejected them,” he said. The governor said despite the anomaly that greeted the Rivers East Senatorial District election, INEC had remained silent, insisting that INEC must offer explanation on the alleged fraud APC used the Police to perpetrate. Wike added that all other political parties participating in the forth-coming Anambra governorship election must be vigilant as the APC was planning to rig the polls. “Democracy is under threat. We must defend it,” he said. In his remarks, the Secretary of IPAC, Chief Perry Opara, said Rivers State was working because Wike was investing in development projects. He commended Wike for carrying all political parties along in Rivers State and urged the Federal Government to imbibe the same pattern which would reduce tension in the country. The 46 Political Parties of IPAC conferred on Wike, “The Most Opposition Friendly and Eagle of Nigeria” awards. True talk. Democracy is suffering in Nigeria.